New Society Publishers, 9780865715684, 237pp. 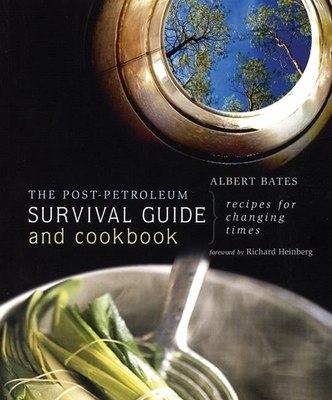 Also including lighthearted, playful recipes--some using basic, wholesome foods, some illustrating food growing or preservation, and all emphasizing organic, flavorful, and locally grown produce that can readily substitute one for another--this book is about having your catastrophe and eating it too. Albert Bates is an Environmental Educator and Founder of the Ecovillage Training Center at The Farm in Tennessee. He has been instrumental in facilitating the growth of the worldwide ecovillage movement into an organization of more than 20,000 communities on six continents with more than one million residents.